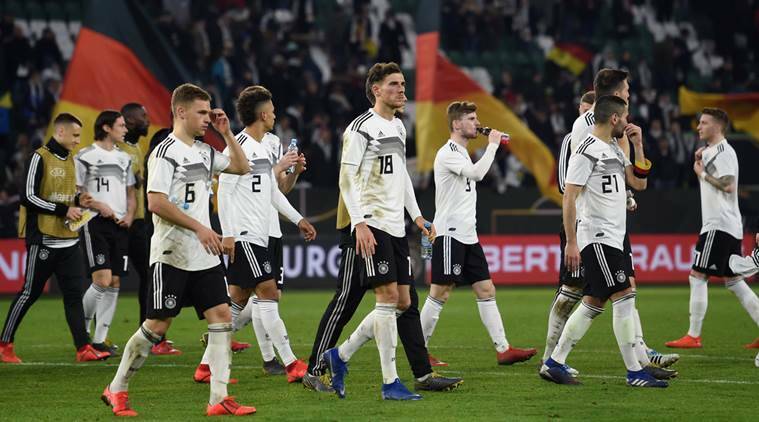 Germany’s new-look team made a promising return to the international stage with a 1-1 draw against Serbia in a friendly on Wednesday, showing signs of improvement following a disastrous 2018. The Germans, knocked out of the World Cup in the group stage and relegated in the Nations League last year, had only one player from their 2014 World Cup victory in the starting line-up and their oldest outfield player was aged 24. Serbia went forward after 11 minutes and their first corner bounced off the back of two players to land perfectly for Luka Jovic to head in for his first international goal. The 21-year-old, who has scored 22 goals in 35 appearances for Eintracht Frankfurt this season, is likely to be among the biggest transfer targets this summer, with Real Madrid and Barcelona among clubs reportedly interested. Werner twice went close to an equaliser before Serbia, who won promotion in the Nations League after an undefeated run in their group, wasted a chance when Adem Ljajic fired a shot over the bar. But the Germans kept their foot firmly on the gas and wasted several chances in the second half before substitute Leon Goretzka grabbed a deserved equaliser in the 69th minute. “In the first half the automation in this new team, playing together for the first time, did not function that well,” Loew told reporters. “In the second half the team sent a very good signal that we can increase pressure and we can increase the tempo. We had a lot of chances and we missed the final touch a bit. That is also part of the learning experience. “Overall, I am very satisfied with the mentality, the pressure we created.” Serbia, who had Dmitrovic to thank for hanging on to the draw as the keeper made several saves to deny the Germans a second goal, were left with 10 players when Milan Pavlov was sent off for a reckless challenge on Sane.